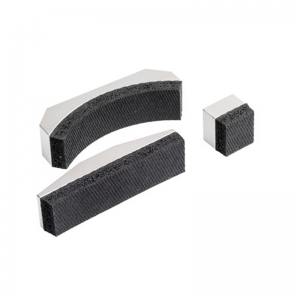 Mark-10 G1105 Cork Pull Fixture - C.S.C. 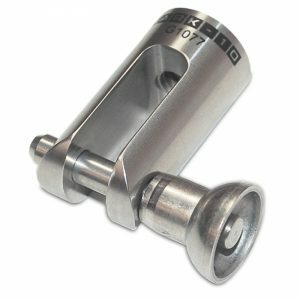 Force Measurement, Inc.
Have a question about the Mark-10 G1105 Cork Pull Fixture? 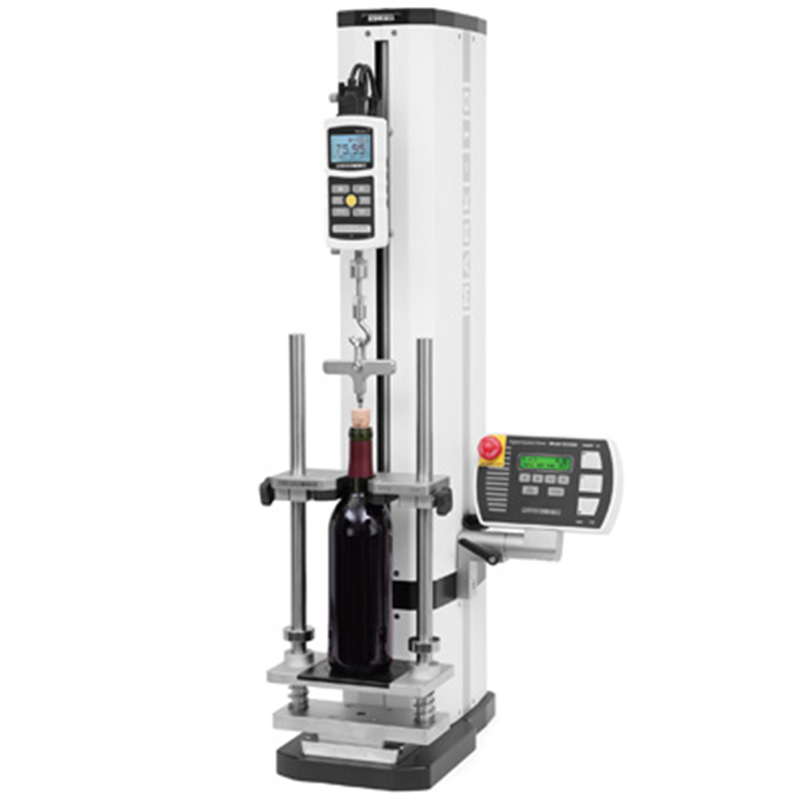 This fixture is designed to extract a cork stopper out of a bottle for pull force measurements, in conformance with ISO 9727. The G1105 accommodates up to 1.5 L bottles, and is compatible with both natural and synthetic stoppers. To use, load the bottle onto the spring loaded tray. The neck is secured by the upper bracket. Delrin material is used for the surfaces in contact with the bottle, to avoid marring or breaking the sample. 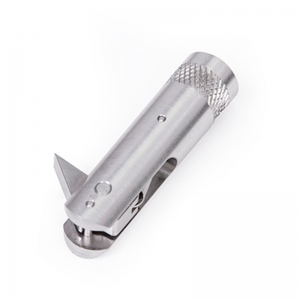 Thread the provided corskscrew assembly into the cork, then use the swiveling hook from the force gauge to engage the eye bolt at the end of the cork screw assembly. 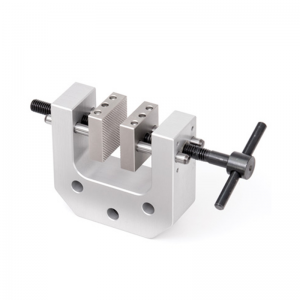 Recommended for use with a Mark-10 force gauge and ESM303 motorized test stand. 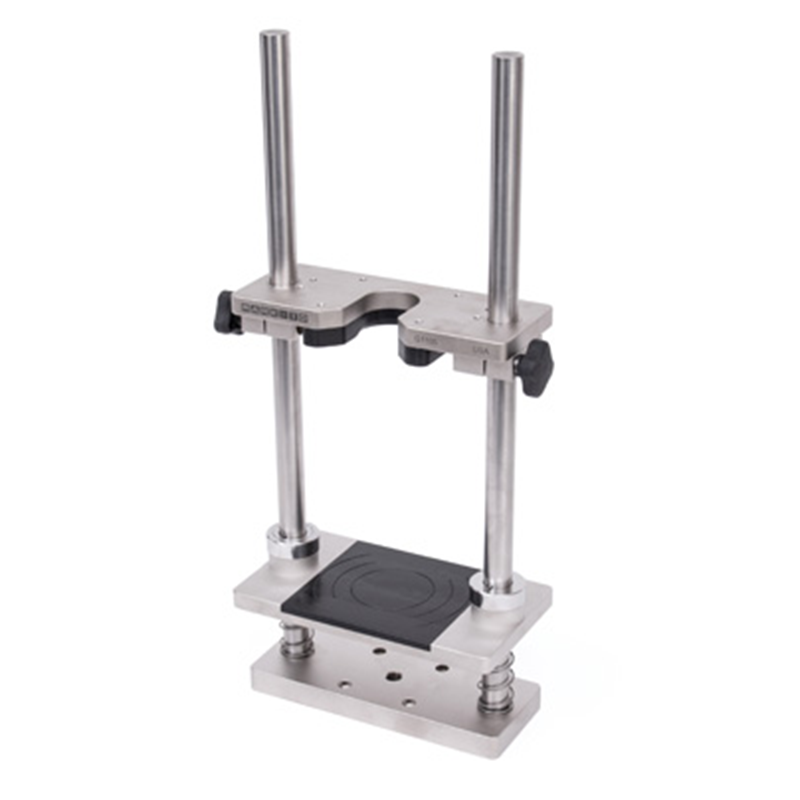 Note: If using an ESM303 test stand, a minimum 6″ column extension is required, due to the height of this fixture. Extensions are required for most other test stands as well.